This is the 3rd in a series of "Alice - Beaded Ornament Cover." A detailed 10 pages of instruction including over 20 images will step you through creating this quick and easy beaded ornament cover. A perfect project even for a beginning beader. 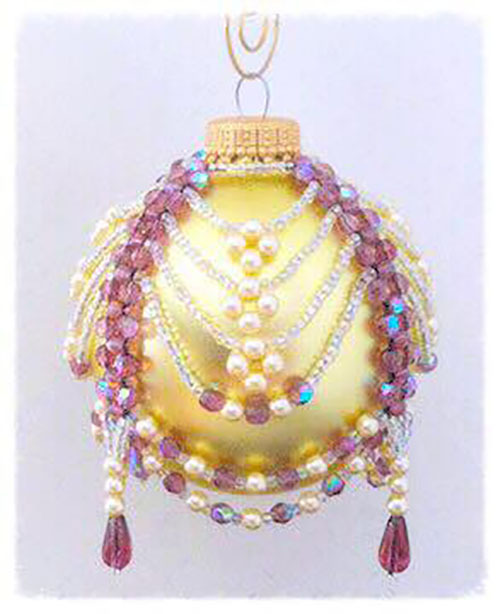 You can make this beautiful elegant beaded ornament cover to adorn your Christmas tree and would be a perfect Christmas or birthday gift to someone.